Our experts in business, technology and industry design, use advanced technology to help you reduce cost and risk, accelerate speed to market, create new revenue streams and establish a security-rich and reliable infrastructure that's ready for AI and hybrid/ multicloud. No one has helped more businesses grow globally. Our experts deliver sustained value for clients that make a difference in the real world. Militza Bishop focuses on multivendor support and complex global solutions. She is responsible for developing global offerings. Matthew Johnson is an IT architect, working with customers across the globe to transform their user computing environment into a superior, personalized, digital workplace. He is the chief architect for mobile virtualization services, developing solutions and assisting in Crit Sits and account health checks as a subject matter expert. Terry Hickey has more than 20 years of experience and has led many areas of business within IBM Global Services. He is currently the leader for IBM Watson AI, directing a worldwide team that helps clients integrate artificial intelligence into their businesses. Elli Hurst is a Vice President and Global Automation GTM Leader, collaborating with IBM clients throughout the world to help improve their process flow, optimize procedures and streamline their businesses. With her expertise in strategy, process engineering and application management services, she guides the implementation of robotic process automation combined with cognitive solutions to improve organizations in multiple industries. 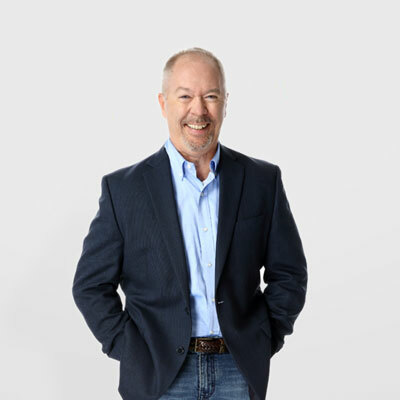 Bill Haynes specializes in in the development of complex, transformational solutions involving managed services, SaaS, cloud, hybrid infrastructure, mobility and security services. George Herbert started his career as a customer engineer 28 years ago and subsequently has worked in every aspect of the technical support business. In addition to his knowledge of the TSS Portfolio, his expertise spans IT service management, cloud computing, social media, education, hardware support and software programming. 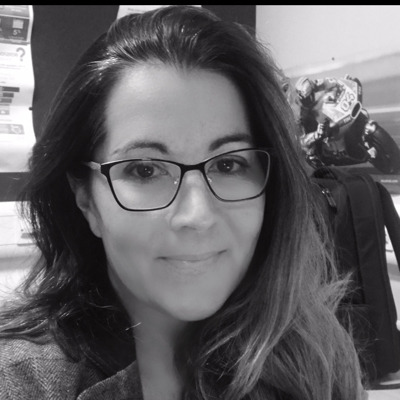 Niki McKenna is an Offering Development Executive in IBM Global Technology Services, defining the strategy for the Next Generation Service Desk. In this role, Niki leads the development of the Workplace Support Services portfolio that uses innovative automation, analytics and cognitive computing solutions (IBM Watson technology) to help clients accelerate their workplace transformation and deliver a superior, cost competitive user experience. Michael Weller is a leader in transition and transformation programs for Financial, Distribution, Healthcare, and Manufacturing institutions. He has extensive experience directing business process re-engineering, enterprise resource planning implementations and data center cloud migrations supporting strategic outsourcing programs. Saurabh Bhide has broad experience in all areas of enterprise hybrid IT. He specializes in public, private and hybrid cloud managed services, and focuses on developing solutions to help clients meet their business objectives and improve time to market. 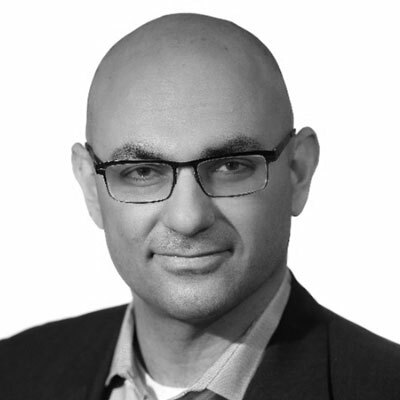 Marc Hayem leads the Global Advanced Analytics Practice in IBM Global Business Services. His team specializes in solving complex business problems for IBM customers using machine learning and artificial intelligence technologies. Marc’s team also creates reusable cognitive assets and components. Marc has more than 20 years of experience in the high-tech industry, working with customers in many markets and in more than 20 countries. During that time, Marc has managed technical teams specialized in business intelligence, SQL and NoSQL databases, CRM, Big Data and machine learning. Marc lives in New York and holds an MS in Electrical Engineering from ENSEIR Bordeaux (France). 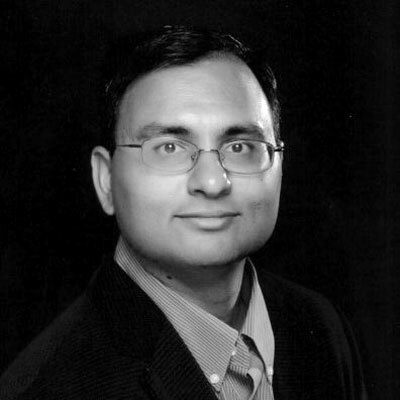 Ravi Poddar is the Founder and Director of IBM Integrated Managed Infrastructure (IMI) Services. IMI Services can help to simplify hybrid infrastructure management with modular, pay-as-you-go services, accelerate innovation with exceptional service quality, improve business agility and reduce complexity. Ravi has deep expertise in infrastructure managed services and can help businesses rapidly adopt hybrid infrastructure models to be more competitive and differentiate in the market. Gregg Smith specializes in enterprise mobility strategy consulting. He is a mobility and workplace solutions architect with experience in enterprise integration of smartphones and their corresponding wireless middleware platforms, including iOS, Android, BlackBerry, Windows Phone, MDM, MobileIron, Airwatch, BES, Good, IBM Endpoint Manager and Worklight. Gopal Soora manages the IBM Network Services portfolio of offerings. He focuses on high-growth areas such as SDN/NFV, UCaaS and CCaaS, but his extensive networking experience also spans network transformation services for cloud, data centers, local area (wired and wireless) and wide area, voice, video, unified communications, contact center infrastructures and client-premises and cloud-based deployment models. Joe Robinson is an IBM Distinguished Engineer, expert in the areas of network design and security. He is an infrastructure architect and a network design specialist, concentrating on the design of network infrastructures for data center, Software Defined (SD) WAN, campus, and cloud. Currently, he is leading SDN offering development. Shankar Kalyana is a CTO with over 32 years of IT experience. He has architected, designed, developed and implemented custom and packaged software solutions across a vast spectrum of environments and platforms. His areas of expertise include hybrid and multi-cloud as-a-service strategies that drive digital and cognitive enterprises to operational excellence. Ann Corrao is a Distinguished Engineer and CTO for IBM Cloud Managed Services, which delivers Managed SAP on the Cloud. Her specialty is in storage and developing cloud services. In her role as CTO, Ann sets the technical strategy and drives market innovation. She has lead the software-defined storage strategy for IBM Services outsourcing and was Chief Storage Architect for the Cloud Innovation Lab, which is redesigning the storage services for our cloud (file, object and block). Ann has 18 patents issued and another 8 in progress. David Subia has been with IBM for more than 20 years, with experience spanning IBM hardware, software and multivendor IT support – including product management, offerings, brand relationships and as a business line executive. David's primary responsibility is to drive growth for IBM Technology Support Services, specifically Multivendor Support. His initiatives include developing capabilities to support the four walls of clients' data centers, with offerings like IBM Integrated Multivendor Support (IMS) and IBM Integrated Support Services (ISS). He holds a Master of Business Administration (MBA) from the University of Texas at San Antonio. 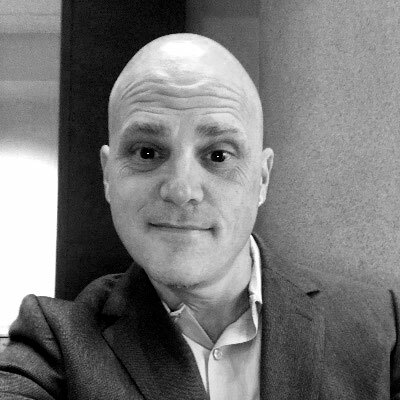 Matt Candy is the Global Leader for IBM iX, a global professional services organization that helps clients reinvent their business by design. 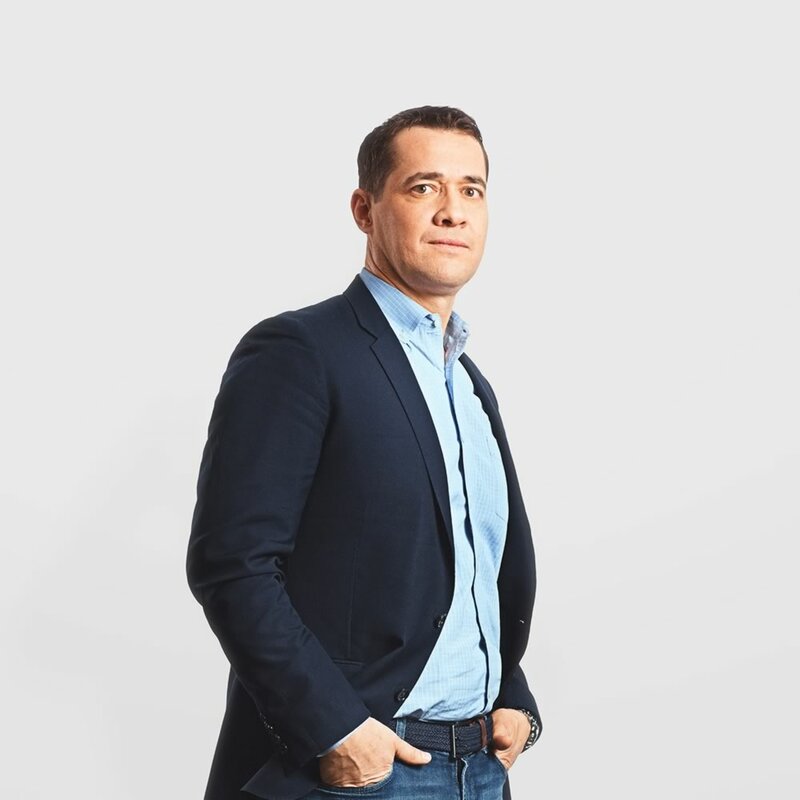 He leads a team of 15,0000+ renegades and realists in a global network of 37+ studios, blending strategy, technology and creativity to tackle client challenges. Matt was named in the 2017 BIMA 100, their annual showcase of the digital industry's brightest stars, seeking to recognize the individuals who are shaping the future of Britain’s digital industry. Matt is a frequent public speaker and blogger on the impact of design driving business reinvention, customer experience and digital transformation. James works with the IBM US Cloud Customer Hub, where his primary focus is on SAP Managed Services. He has more than 25 years of IT experience working on various SAP applications and solutions, including new implementations, upgrades, enhancements, integrations, migrations, traditional hosting and cloud managed services. James has worked with clients of all sizes across a variety of industry sectors. Camilla is the Global Business Manager for IBM's Software Support business line focusing on multivendor products. In this role she concentrates on expanding TSS strategic alliances to aggressively grow the software support portfolio and bring exciting new offerings to market. She is passionate about constructing creative and exceptional support solutions, especially in the realm of Open Source Software. 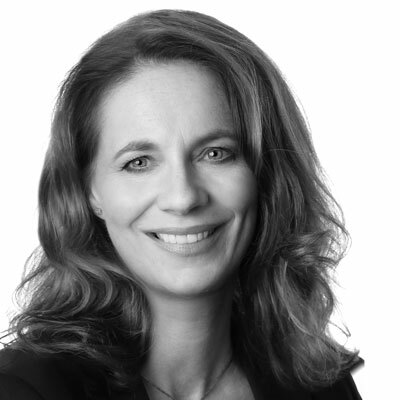 Since joining IBM in 2005, Camilla has held a range of leadership positions across several business units and functions including finance, operations and sales. She has a Honours BComm and MBA from the University of Windsor. Shweta Srivastave's experience spans business process, IT Service Management and IT Strategy. In her role as Global Offering Manager, she provides detailed direction on key technical and marketing tasks for Integrated Managed Infrastructure (IMI) and is responsible for key outcome metrics, including customer satisfaction, accessibility and revenue. William A. Brown is an IBM Distinguished Engineer. In his current role as CTO for Cloud Application Services Accelerated Application Development. He is responsible for the design, development and delivery of solutions using cloud, services, APIs and PaaS. Jitendra Nandwani manages solution teams responsible for building innovative technology solutions for clients with networking and resiliency. He has been responsible for building IBM Network Innovation Centers across the globe and has experience with growth markets and start-ups. Jitendra also brings in Industry relationships with technology leaders and the IBM strategic partner ecosystem. Jens Rathgeber is an industrial engineer, IT architect and consultant in the IT services business. He is a member of the IBM Academy of Technology, with experience in banking, insurance and telecommunications. He has a strong background in IT operations and maintenance models. Brendan Coffey has over 35 years of experience within IBM with positions spanning hardware and software development; business development and transformation consulting; and project management. He has 12 filed, pending or awarded US patents and was appointed as an IBM Master Inventor in 2014. 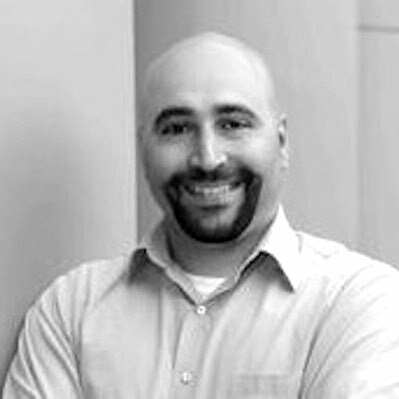 Brendan specializes in cloud computing, IT optimization, and server consolidation and virtualization. 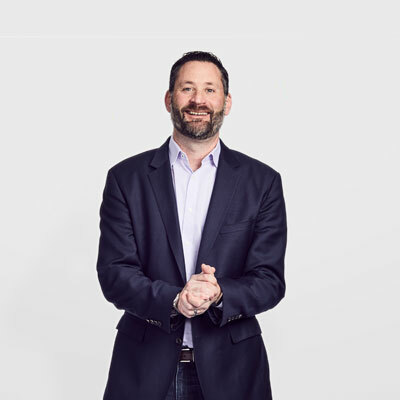 Jason Kelley leads IBM’s Global Blockchain Services, working with client organizations and consortia to unleash the exponential business value of blockchain technologies and reinvented business process. His teams provide the thought leadership and consulting capabilities needed to design, develop and rapidly adopt digital ledgers, digital identity trust and transparency with IBM Blockchain offerings and solutions. Cameron Art has global responsibility for driving innovation into IBM’s strategic clients, transforming their enterprise systems into cloud and SaaS models from next-generation enterprise cloud platforms. He works with industry-leading business partners like SAP, Oracle, Microsoft and Workday, and also creates ecosystems around and with those business partners to deliver value for IBM’s clients. Dominik is an IT Consultant for IBM Business Resiliency Advisory. His work focuses on combining architectural and consulting expertise to build state-of-the-art, end-to-end resiliency solutions for clients in the areas of business continuity, IT service continuity and disaster recovery. He has contributed to various customer projects and has experience in many different industries and business sectors. Dominik is a certified IT Service Continuity Manager and the primary contact for the holistic cyber resiliency approach in the DACH market. Carol Zichi leads development of mobility and workplace offerings to enable the Digital Workplace. She developed IBM’s first generation of services for managed mobility services involving cross–mobile device technologies and device platforms including BYOD. Hasan A. Hashmi has extensive knowledge in software defined resiliency, IT business continuity, disaster recovery, workload and performance management, infrastructure integration and implementation. He designs private cloud, Backup as a Services (BaaS), Disaster Recovery as a Service (DRaaS), collocation and managed services solutions in the Pakistan region. Kendra is a Retail Offering Development Manager in IBM Services, defining strategy for transforming the store's support environment. She leads the development of Intelligent Store Support that uses augmented reality, innovative automation, analytics and cognitive computing solutions to help stores redesign, rethink and transform technology support. Christoph is the IBM Network Services Sales Leader for Europe. Over the last 5 years, he’s held several appointments in IBM Infrastructure Services Sales. As a Sales Leader for the DACH region, he gained wide experience in different industries and business sectors. Christoph joined IBM after having several management roles for IT system integrators in Germany, focusing on IT consulting and engineering for workplace, network and data center services. 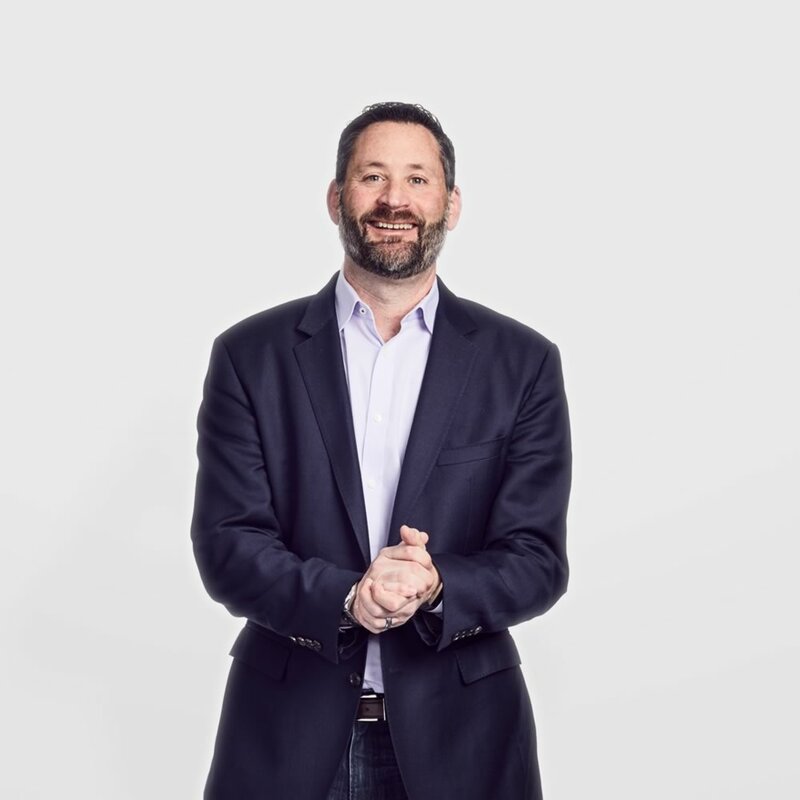 Matthew Schwartz is an SAP industry recognized thought leader in innovation, digital transformation, mobile, social, analytics, and cloud technologies. He has more than 20 years of progressively increasing responsibility in delivering technology-led transformation for clients. 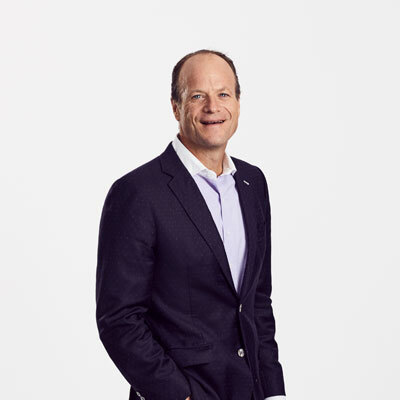 In Matt’s current role as the Vice President & Managing Partner of the SAP Practice for North America, he is responsible for driving enterprise digital transformation using SAP S/4 HANA, Analytics, Ariba, Hybris and SuccessFactors. John Hollingsworth is an IBM Distinguished Engineer, expert in the areas of network design and security. He is an infrastructure architect and a network design specialist, concentrating on the design of infrastructures including servers, storage, workstations, middleware, non-application software, networks, and the physical facilities that support the applications and business processes required by clients. 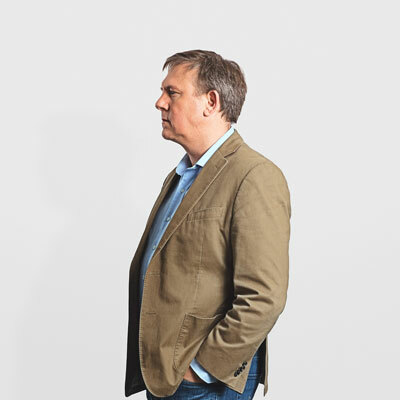 Billy has created innovative marketing strategies and omnichannel customer experiences for leading brands in the automotive, comsumer products, financial services, retail, technology and travel industries. A true digital native, he strives to discover unique intersections between art, science, commerce and storytelling, and has won numerous awards for his distinctive work. Dean Parker is a global offering manager for IBM Services' Storage as a Service offering portfolio, including IBM Cloud Private Storage. He is experienced with cloud computing, storage (including flash technology), and server and networking infrastructure, as well as from driving offering roadmaps for IBM Services, System x, Storage and Microelectronics brands. Julien is a Managed Cloud Portfolio Leader for IBM Global Technology Services, IBM Services Europe. In this role, he manages the Managed Cloud Services content and roadmap for Europe, with a specific focus on hybrid cloud and cognitive automation. Julien has previously held several management positions in the areas of architecture and project management within IBM. His expertise spans solid technical knowledge and strong delivery experience with major clients. Henrik is a Cognitive Business Consultant for IBM Services in the Nordics. Based in Copenhagen, he supports various cognitive client projects across the four Nordic countries. Henrik has been a pioneer in the cognitive arena at IBM Services and is considered a trusted advisor in the field of cognitive and artificial intelligence. Through his work with many Nordic clients, he’s gained in-depth industry expertise that he uses to support sales teams in different countries as an ambassador for cognitive solutions. Itzhak is the Director of Network Services for Europe. He works with the European markets and the global team to reposition and launch IBM network services in hybrid IT environments, redefining the function and needs of new network architecture and delivery models. He joined IBM in 2002 after holding several senior management positions in and around major IT services companies. He has in-depth experience in technical solutions and in the FSS, telecommunications, utilities, distribution and industrial industries. Paul is the Head of Consulting for IBM Global Technology Services in the UK and Ireland. His teams are responsible for infrastructure topics like IT strategy and optimization, hybrid cloud, service management, migration, NW optimization, workplace strategy and IT resiliency. Paul previously headed up the IBM Systems Services organization, providing managed server and storage services to enterprise clients, and was Head of Sales for both the financial services sector and IBM Security. Earlier in his 30-year career in IT, Paul was a Global Account Manager and worked in Corporate Strategy. He was originally a technical specialist working with the IBM zSeries TPF operating system. Throughout his career, Paul has tried to enable positive change in organizations through the appropriate and considered use of IT. Juhi McClelland leads IBM’s Technical Support Services development, offerings portfolio and go-to-market strategy and execution globally. Prior to this role, she was IBM VP of Sales for the Department of Defense, focused on strategic and secure solutions around datacenter transformation, cloud computing and business analytics. Juhi has worked for IBM Asia Pacific in the telecommunication business and as a Business Transformation Consultant in the IBM Strategy and Change Practice. She is a member of IBM’s Growth and Transformation Team. Brian O’Connell is an IBM Distinguished Engineer and Master Inventor, focusing on driving automation in networking. He is a member of the IBM Academy of Technology and a Franz Edelman laureate, and he has more than 375 issued US patents. Sangita is a seasoned professional and accomplished executive with 23 years of experience. In her current role as General Manager for IBM Global Cloud Consulting Services, she is responsible for helping clients accelerate their adoption of cloud and cloud technologies. Sangita began her distinguished career holding diverse leadership roles at Wipro. Prior to joining IBM, she was the Executive Vice President for Healthcare and Life Sciences at Infosys. Gene Chao leads teams in accelerating business growth through client advocacy, thought leadership and client engagement models. 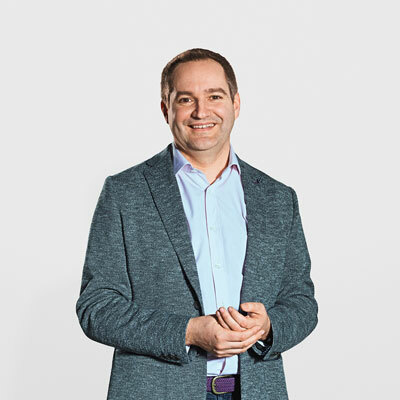 He builds offerings and develops skills and competencies across automation, autonomics, cognitive and the next generation of business process transformation. Gene has held general management, sales and executive leadership positions in business and IT services, and, most recently, was the Chief Revenue Officer of IPsoft. Gerald Longoria has built expertise in managed storage services, data protection and resiliency solutions and storage systems. Since coming to IBM, his expertise has extended to managed cloud services, enterprise content management, cognitive and analytics solutions and managed services for workplace support. Steve Currie, Distinguished Engineer, IBM Global Technology Services, has over 25 years’ experience in IT consulting. Currently, he is leading the qualification and adoption of software defined networking (SDN) technologies with IBM clients as a member of the GTS Technology Innovation and Automation team. He delivers leading edge IT services and solutions to solve clients’ issues. John Granger is responsible for helping clients transform their businesses with technology across their enterprises at scale with quality, speed and consistency. His expertise includes large-scale cloud application migration, next-generation enterprise application and mobile, and complex system integration. 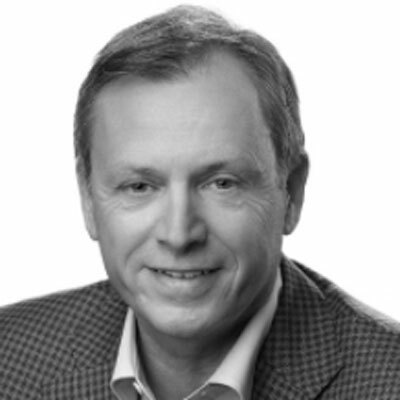 Mark Peterson is a VP and Global Partner in the IBM Global Business Services Watson IoT Consulting group, and leads IBM’s Real Estate and Building IoT initiatives globally. He is focused on emerging solutions in physical assets, including the Internet of Things, predictive analytics, energy analytics and related connected solutions. Mark joined IBM through the acquisition of TRIRIGA, where he was the Executive VP of Sales and Services. Mark was one of the original executives at TRIRIGA and spent 10 years developing and bringing the industry-leading IWMS technology to the market. Mark has more than 35 years of experience applying technology to solving asset-related business challenges. Mark has been involved in a wide variety of industries, including utilities, retail, government, manufacturing and aerospace and defense. His experience includes more than 10 years at Intergraph Corporation, 5 years at Cabletron and a variety of Silicon Valley startups. Benedikt is a Senior IT Management Consultant for IBM Business Resiliency Advisory. He focuses on combining architectural and consulting expertise to build state-of-the-art, end-to-end resiliency solutions for clients in the areas of business continuity, IT service continuity and disaster recovery management. He has contributed to various customer projects and has experience in many different industries and business sectors. Additionally, Benedikt is a certified IT Service Continuity Manager and certified in the implementation of a Business Continuity Management system according to ISO/IEC 27301. 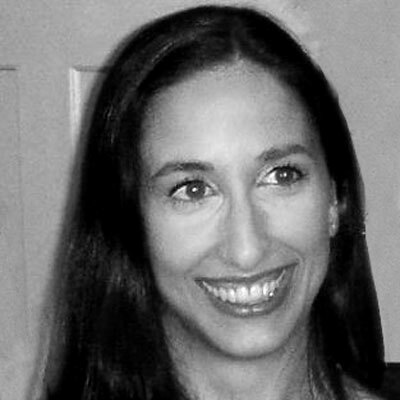 Monique Ouellette works with IBM teams and IBM Business Partners all over the world to develop and refine mobile solutions focused by industry. 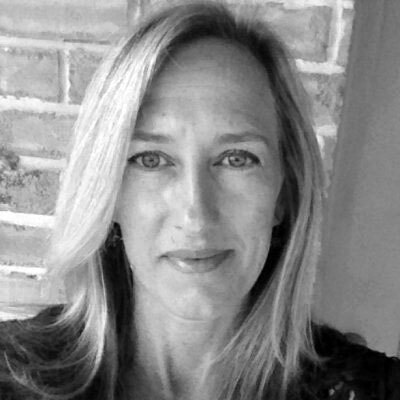 She has extensive retail experience and works closely with IBM’s largest retail clients. She brings expertise in IBM’s cognitive, analytics and automation capabilities to help clients transform to a “Choice” workplace environment. Archana Vemulapalli leads IBM Network Services, delivering agile, resilient and intelligent networks for public and private sector clients across the globe to support their cognitive and cloud transformations. She previously led next-generation technology initiatives at a variety of organizations, from startups to major consulting firms to government, including serving as the Chief Technology Officer for Washington, DC. Archana is the recipient of several honors, including the Washington Business Journal’s C-Suite Award, The Washingtonian Tech Titan Award, StateScoop’s Golden Executive of the Year Award and Top Women in Tech Award, as well as DC’s Top 50 Women in Tech Award. 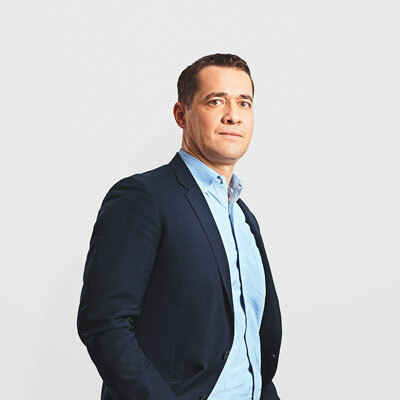 Ahmed Saleh leads a global team of information security professionals that deliver forensic, incident response, and proactive security services all over the world. He works closely with organizations to understand and effectively manage cybersecurity threats to their environments. He has been a principal consultant at Disney, NASA, the U.S. Air Force and Mandiant, helping these companies adjust to the evolving threat landscape. 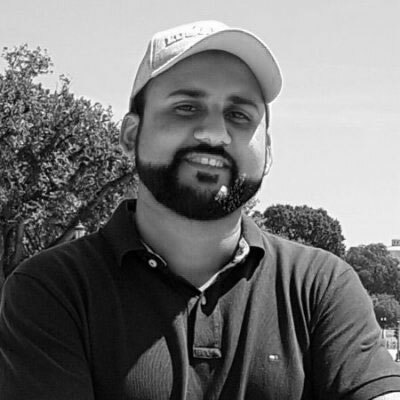 He has applied his expertise in incident response, intrusion investigations, cyber threat analysis and security risk management to investigate security breaches with national security significance.<br/>Ahmed has spoken at industry conferences including Black Hat, DEFCON, Hollywood IT Society, the Digital Crime Consortium and the DoD Cybercrime Conference. He holds a B.S.E. in Computer Systems Engineering and a M.S. in Computer Science. Ahmed Saleh leads a global team of information security professionals that deliver forensic, incident response, and proactive security services all over the world. He works closely with organizations to understand and effectively manage cybersecurity threats to their environments. He has been a principal consultant at Disney, NASA, the U.S. Air Force and Mandiant, helping these companies adjust to the evolving threat landscape. He has applied his expertise in incident response, intrusion investigations, cyber threat analysis and security risk management to investigate security breaches with national security significance. Ahmed has spoken at industry conferences including Black Hat, DEFCON, Hollywood IT Society, the Digital Crime Consortium and the DoD Cybercrime Conference. He holds a B.S.E. in Computer Systems Engineering and a M.S. in Computer Science. Ingo has more than 20 years of experience consulting and managing complex services engagements. He focuses on matching each customer’s specific transformation agenda with the latest technology and service innovations, and advises clients on how new service approaches can help them transform into an IT as a Service company by strengthening their critical capabilities to broker, provide, manage, orchestrate, automate and operate IT services from multiple service providers. John is a Senior-level Pre/Post Sales Network/Cloud Architect/Engineer/Consultant with multiple vendor certifications and 20 years of diverse client-facing experience across multiple verticals. He has extensive experience with multivendor infrastructure solutions within the cloud, data center, campus, LAN and WAN environments both wired and wireless. Core skills include communication, leadership and solution selling, teaming and technical. He's currently focused on sales enablement and business development within hybrid cloud architecture, automation, orchestration, virtualization, SDN, SDWAN, NFV/VNF and SDDC solutions. Dr. Stefan Pappe is an IBM Fellow with Global Technology Services—the highest technical rank in IBM—an expert in hybrid cloud, chief architect of the IBM Services Platform with Watson and Vice President of a global team of IBM Distinguished Engineers, focused on enterprise IT, client innovation with hybrid cloud and the IBM Services Platform with Watson. His work spans research, software and the services unit, and ranges from infrastructure to application domains. He holds a Masters in Economics from the University of Karlsruhe, Germany and a Ph.D. in Computer Science from the University of Kaiserslautern, Germany. 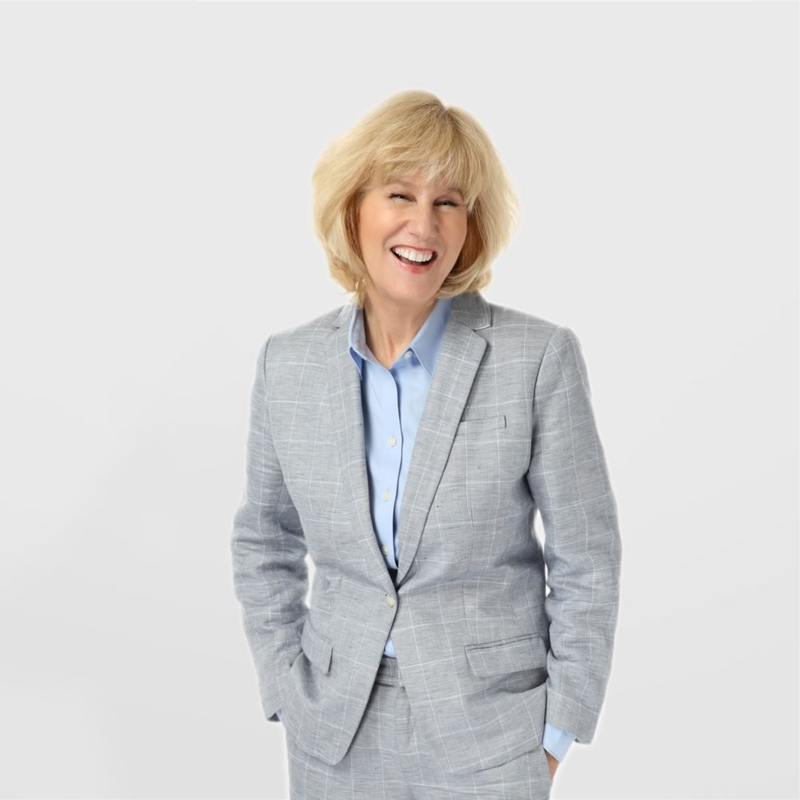 Bridget Karlin is responsible for developing the IBM Services Platform with Watson, and for leading the transformation of the IBM Global Technology Services business, leveraging advanced technology, innovation and software-defined cognitive automation. She is a recipient of the 2016 Industrial IoT 5G Innovators award, the Malcolm Baldrige Software Quality award and the BellSouth Technology Innovator award. Tom is a Subject Matter Expert in cognitive initiatives, advanced ticket analytics, user analytics and right-to-left. He focuses on defining successful, tailored workplace support services, strategies and solutions. Tom believes the most successful workplace support solutions need to be based on data analysis, cultural change, user experience (and adoption) and continual improvement of the service. He advises customers on optimal initiatives for improving cost efficiencies and the quality of user support, and defines roadmaps that enable clients at any level of maturity to accelerate their workplace support transformation. Mike Fitzgerald is a seasoned business strategist with over 30 years of experience helping organizations around the world transform their operations through technology. In his current role, Mike focuses on Global Cloud Adoption Services and optimizing cloud architecture to enable innovation and business value. Jason has 20 years’ experience as an IBM Senior Certified Architect, Enterprise IT Advisor and IBM Academy of Technology member. His expertise spans a broad set of technical domains, including enterprise outsourcing, analytics, automation, technology and service integration, hybrid cloud and complex data center migration. He excels at architecture team leadership, resolving complex technical problems and driving business transformation. David Wilkinson is a Senior Information and Communication Technology (ICT) Consultant and Solution Architect. His extensive knowledge of a wide range of ICT network technologies includes network protocols (IP/MPLS, SDH/PDH, industry proprietary), wireless transport (UHF/VHF, microwave, mobile, WiMax) and wired transport (copper, optic fibre/OPGW, PLC/BPL), management systems and supporting infrastructure (towers/masts, huts/racks, power). His industry experience spans energy (smart grid, metering, oil and gas), water, transportation and finance. Nigel is responsible for IBM Network Services’ strategic business development and consulting services in Europe, where he works with major enterprises and service providers. His work is focused on the creation of transformational roadmaps for clients to gain tangible business outcomes from hybrid cloud networking and underpinning technologies such as orchestration, automation, software-defined infrastructure (SDI), and network functions virtualization (NFV). Anyck is the global chief Cyber Resilience & Security Evangelist for IBM. Her work centers on designing and generating awareness about the latest suite of solutions from IBM that help ensure the business resilience of customers worldwide. 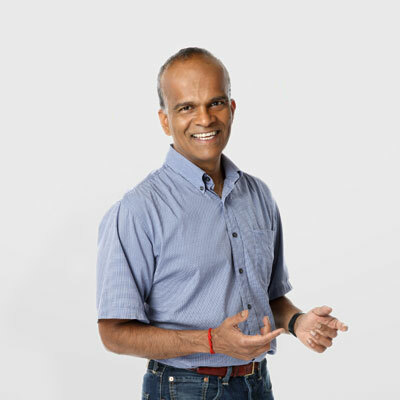 Vinod Kuppusamy is an IBM Distinguished Engineer and the Chief Technology Officer for Resiliency Orchestration in IBM Global Technology Services. He is a seasoned professional and technologist with over 2 decades of experience in software product architecture, design and development with expertise in Business Continuity & Disaster Recovery (BC/DR), databases and storage domain. Maheswaren Surendra is responsible for the overall direction for IT services delivery. His strategic focus is on automation and cognitive technology for IT service management and managed services. He holds a PhD in chemical engineering and holds multiple patents. Nick Davinic has more than 12 years of experience leading business turnaround and organizational transformation consulting engagements for firms in industrial and engineered products sectors. He has also supported several US Government agencies with related services. For the past three years, he had led a team of 45+ people developing new digital products and services based on applying predictive analytics to social media, mobile, IoT and other open source data. Anand Surada provides the detailed direction on key technical and marketing tasks required for IBM Cloud Brokerage Services. He has worked in almost all functions of cloud product management, as well as in business consulting, technical pre-sales, program management, vendor management, and business and channel strategy development. Anand comes from a technology background, with experience in software design and development, project management and delivery, and has programmed scalable, multi-threaded applications, web services and APIs in several languages and markups using an object-oriented approach for delivery across various platforms. Additionally, his experience spans service integration, telecommunications, hosting, behavioral healthcare and federal procurement. 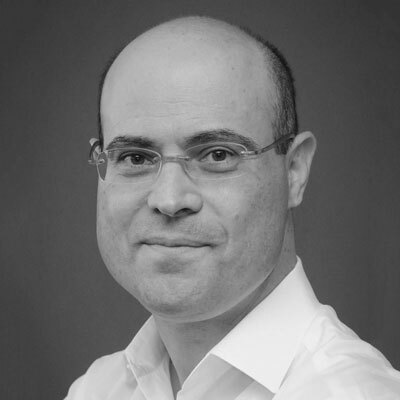 Raphael (Rafi) Ezry is a Global Business Services VP and Partner, leading IBM’s worldwide Advanced Analytics Practice—a global cross-sector, next-generation consulting organization with over 15,000 data scientists and 30 innovation and delivery centers. He collaborates with clients to help them realize value by linking market-leading innovations to practical, sustainable enterprise transformation. 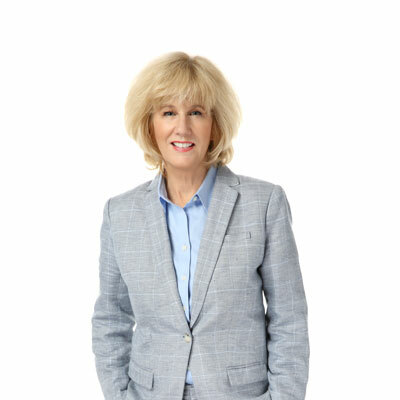 Pat Corcoran is a member of the IBM Resiliency Services leadership team, responsible for implementing the global strategy for business resiliency (includes continuity, recovery, crisis management, cyber and so on). He also supports solutions for regional and international clients looking to protect their businesses. He led the IBM efforts to help clients impacted by the 9-11 terrorist attacks, Hurricane Katrina, Superstorm Sandy and the Haiti earthquake, among others. Gert-Jan is a Business Development Executive for IBM Technology Support Services, with a deep understanding of business alignment and technology utilization to meet corporate objectives and timelines. His background includes experience as a Management Consultant and an Executive Program Manager in the financial, public and industrial sectors. Simon Gale is an Associate Partner and CTO for IBM Mobility & Workplace Services in the UK and Ireland. He’s seen technologies come and go in his almost 20 years working in end-user computing but has always held to the belief that the essential goal is ensuring the business, its employees and its customers have access to useful data how, when and where it can do the most good. When he’s not working, you’re likely to find Simon cooking and sharing good food and wine. 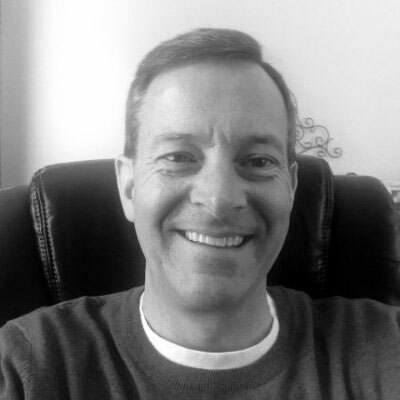 Gerry Kluck is a global sales executive with experience helping clients transform their businesses with SaaS, hybrid and private cloud computing, managed outsourcing services, enterprise software defined environments, IoT, operational analytics, web application performance and content distribution. 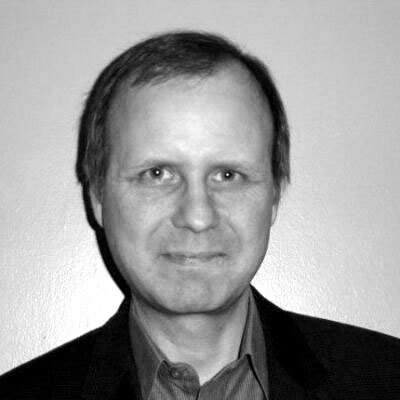 Ray Paskauskas is an executive IT architect who focuses on leading large complex industry solutions. His background includes business development, solution architecture, technical project management and complex outsourcing across a variety of industry segments. He has experience in complex IT as a Service transformations, IP telephony systems and automation. As a CSE, David consults with IBM clients to address a wide range of infrastructure support requirements. He is primarily focussed on TSS Integrated Support Services (ISS). ISS incorporates Enterprise Availability Management and Multi Vendor Services that both deliver a single point of contact for streamlined support for hardware and software across multiple vendors. 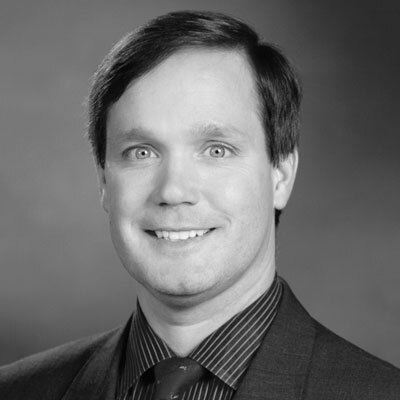 Gordon joined the business continuity industry in 1995 as a Business Continuity Analyst for Bankers Trust, for which his background in IT operations and project management provided a sound foundation. He went on to work in a business continuity consulting role for Standard Life before joining IBM in 2001, where he is now the Worldwide Global Partner specializing in resiliency for the financial sector and has provided consulting services to some of the world's largest banks and other financial institutions. Gordon's work spans IT strategy and architecture, operational risk, and data center strategy, migration, consolidation and audits. 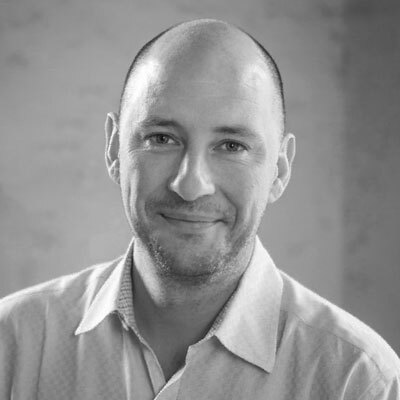 Philip Dalzell-Payne has extensive experience developing digital strategies for consumer-facing brands. He combines strategy consulting expertise with a deep understanding of digital sales and marketing to deliver transformational change and accelerated value capture to clients. His experience ranges across the retail, consumer products, travel and financial services industries. 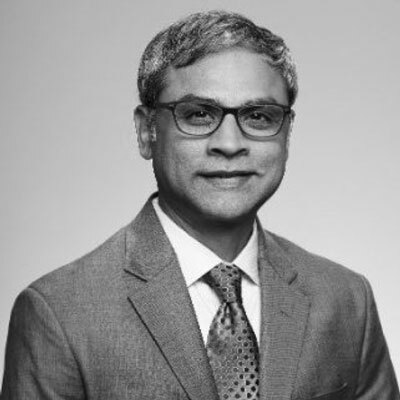 Manish Modh is responsible for the technology strategy and direction of the IBM Cloud Brokerage platform that enables IBM Brokerage Services. His expertise is architecting and designing enhancements to the platform for visibility, governance and application innovation. His experience spans many cloud-based services, (IaaS, PaaS, SaaS, Managed Services), Amazon, Azure, SoftLayer, VMware, and more. He has 22+ software patents. Mehboob Rukadikar has expansive technical, functional and managerial experience across the full IT Service Management and Business Service Management (ITSM/BSM) lifecycle, with ITIL® Expert certification. He has worked with various ITSM/BSM tools from multiple vendors, including BMC (Remedy, Patrol/Performance Manager, Bladelogic, Atrium/ADDM), HP (OV/OM, BAC/SiS, SM/AM, uCMDB/DDM, SA/NA), and MS (SCOM, SCCM) to provide end-to-end solutions for infrastructure, application management and operations. Additionally, Mehboob's proficiencies include cloud lifecycle management strategy and design, solution reference models and related technology architecture, value and benefit analysis, and development of delivery models from multiple localized operations to a uniform global operation. Shahira Brennan helps clients maintain continuous business operations and improve overall resiliency. She employs technical innovation to address business challenges, helping clients improve performance against their key metrics. Tina Marron-Partridge leads a forward-thinking team of 4,000 global practitioners focused on solutions and services that enable leading enterprises to combine applied neuroscience, business process, technology solutions and cognitive capabilities to create the optimal culture for employee engagement, talent development and business performance. Dr. Ilyas Iyoob is an innovative analytics executive with over ten years’ experience in predictive analytics, IT capacity planning, health-IT, supply chain and logistics cloud computing, including cloud IT supply chain optimization, Cloud Brokerage Services management and cloud readiness assessment. He is an adjunct professor at the University of Texas at Austin. As founder, CEO and former CTO of Sanovi, Chandra helped drive the company’s transition from start-up to disaster recovery management (DRM) leader. With more than 20 years’ experience in large-scale enterprise systems, he was responsible for the strategy, development and delivery of Sanovi’s unique DRM management platform. Chandra holds a BS in Computer Science from the Birla Institute of Technology and Science - Pilani. Andy is an IBM Cloud Engineer and Technical Business Development Executive for IBM Cloud. In his 25 years working in IT, including system integration, system hosting and cloud computing, he has served as a senior program manager and IT architect for world-class enterprises. Rajesh Nambiar is the General Manager and Global Leader for IBM Application Services. He is the custodian of IBM’s culture across the organization, responsible for offering development, solutioning, sales and delivery of all applications for IBM’s clients worldwide. He has been inspiring teams and changing the world for IBM through Client Innovation Centers in India, China and the Philippines. 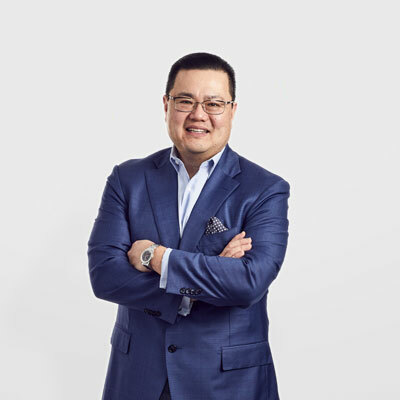 He has also led consulting and applications services business in six countries while working in the IBM ASEAN Singapore office. 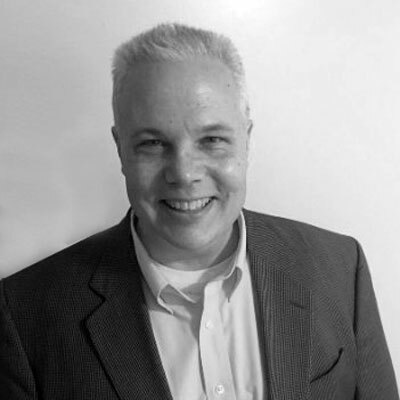 Robert is the Director of Offerings for IBM Cloud Brokerage Services. He has more than 20 years of IT experience in both entrepreneurial and established organizations, and his expertise spans high-tech software products, general management and marketing. Angel Martínez is an IBM Distinguished Engineer and practicing IT Architect. Over his 25+ years career in IT, he has accumulated experience in data and application architecture, software engineering and applications and infrastructures outsourcing, with a focus on the banking industry. He is currently part of the European IT Transformation Advisors team, where he supports large transformational programs such as migrations to hybrid IT models and the application of automation and cognitive technologies to IT delivery. Mijee Walker has helped companies around the world determine how they can best achieve their availability and continuity goals, from both a business and technology perspective. She has led the assessment, development, and implementation of resiliency programs for businesses on 6 continents. She is currently responsible for the IBM Resiliency Services business in Asia Pacific. 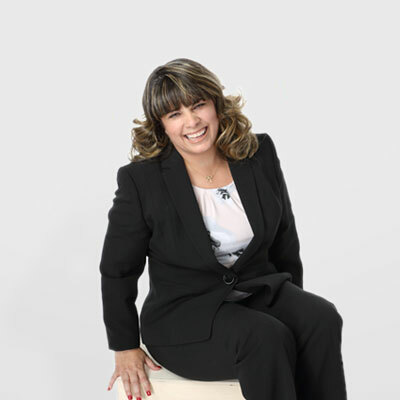 Maria Olivera has experience in the planning and tactical implementation of operating systems, hardware, software and applications in both desktop and server environments. Dr. Vayghanis is an IBM Distinguished Engineer, patent holder and member of the IBM Academy of Technology. He understands how to use the application of technology to address business challenges—from artificial intelligence to blockchain to microservices. 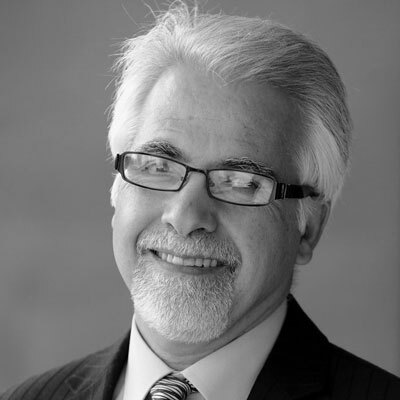 Dr. Vayghan helps clients transform their businesses in multiple industries, including banking, insurance and retail. Mohammed Farooq is general manager of IBM Brokerage Services. He was the Chairman and CEO of Gravitant, a leading cloud services broker software company. Prior to Gravitant, Mohammed was Chief Technology Officer for the State of Texas (2004-2010) where he consolidated 30+ state data centers and an 1,800 application portfolio to an enterprise shared services operating model. Christian is an Executive Consultant, a Business Unit Technical Lead for IBM Technology Support Services, a Master Inventor and a member of the IBM Academy of Technology. He has broad knowledge across industries, wide experience driving industry-leading initiatives and deep knowledge in business case development. 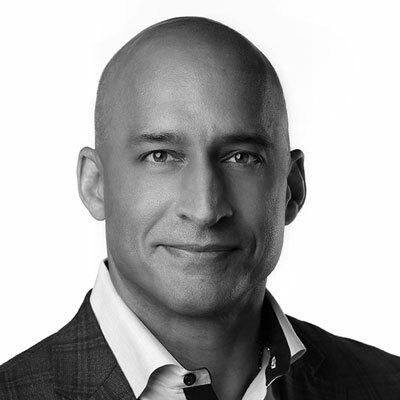 Michael is a Subject Matter Expert for mobile and enterprise workplace solutions, helping clients accelerate their workplace transformation and deliver a superior, cost-competitive user experience. The portfolio services leverage innovation, automation, analytics and cognitive computing solutions (IBM Watson technology) to cover all aspects of workplace support and device management with a focus on choice programs. Pedro has 25 years of experience working in IT. He started as a Systems Engineer for operating systems (OS/2), and has since worked in network-oriented, IT systems management and security roles. For the last 10 years, he has been focused on cloud and enterprise architecture. 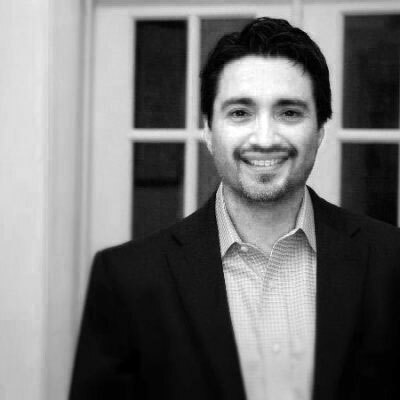 As an Executive Architect for IBM Services, Pedro specializes in hybrid cloud and enterprise IT as a Service solutions. Kirk Steinklauber is IBM Costa Rica's Chief Technology Officer and strategic Global Lead Network Architect. He has a strong background in network services, Software Defined Networking (SDN), security and cloud networking, driving engagements, transitions and delivery projects for several IBM clients. Ron Martin has extensive experience creating solutions in complex environments across all industries. His areas of expertise include networking solution articulation and developing solutions with cloud-based technologies, including storage, data replication, compute and networking, delivering resiliency, scalability and economic feasibility. Chris is a member of the worldwide Enterprise IT Transformation Advisors team for IBM Global Technology Services. He is an IBM Distinguished Engineer responsible for designing world-class IT infrastructure management systems for some of IBM's largest clients, which represent the foundation of our global economy across several industry sectors. Sean Reilley serves as the Vice President of Global Technology and Data Strategy Practice Leader, responsible for building IBM’s digital strategy practice within IBM Global Business Services. He enables global business design by defining the talent, offerings, methods and strategy that will help drive clients’ digital reinvention.<br /><br />Sean drove IBM’s overall agile transformation and, as a recognized expert in agile, has been asked to serve as an advisor to senior executives and present at numerous conferences on the topic of driving agile at scale. He also serves in an advisory capacity on the IBM CIO's leadership team to strengthen the connection between IBM's internal transformation work and our clients' external perspectives. Sean Reilley serves as the Vice President of Global Technology and Data Strategy Practice Leader, responsible for building IBM’s digital strategy practice within IBM Global Business Services. He enables global business design by defining the talent, offerings, methods and strategy that will help drive clients’ digital reinvention. Sean drove IBM’s overall agile transformation and, as a recognized expert in agile, has been asked to serve as an advisor to senior executives and present at numerous conferences on the topic of driving agile at scale. 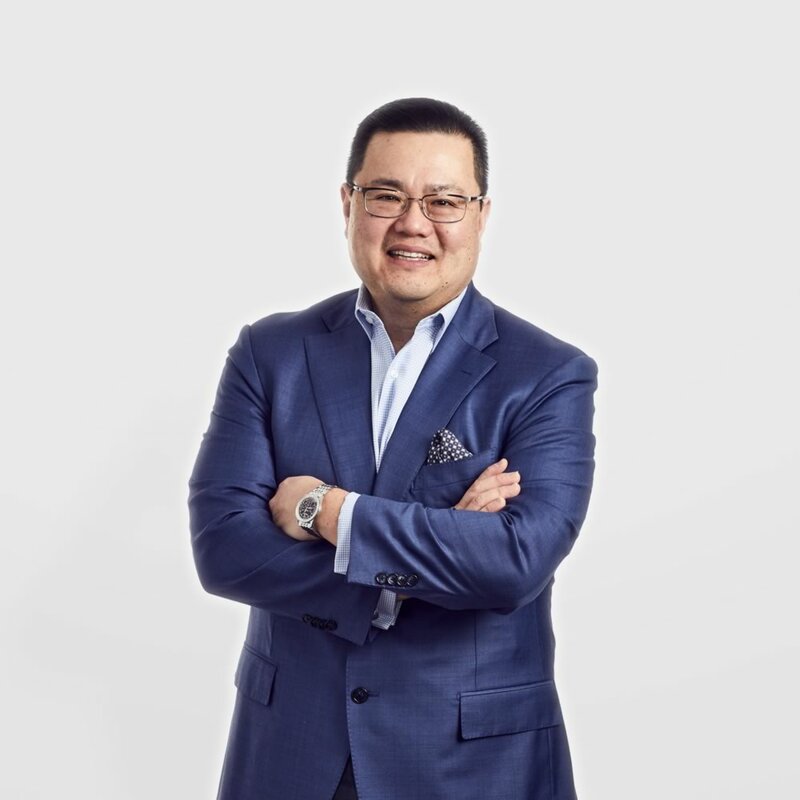 He also serves in an advisory capacity on the IBM CIO's leadership team to strengthen the connection between IBM's internal transformation work and our clients' external perspectives. Mark is the Network Services Leader for the Middle East and Africa and has 4 years’ experience in the region. Mark Hare has built up a broad experience from many roles across IBM.<br/>Prior to moving to the area, he held several technical sales leadership roles in the UK<br/>Mark originally joined IBM as an engineer from Sony and since then has worked in product engineering, manufacturing, research and development, site engineering, quality assurance, contract delivery, and Sales before moving into his current Regional Sales Leader role. Mark is the Network Services Leader for the Middle East and Africa and has 4 years’ experience in the region. Mark Hare has built up a broad experience from many roles across IBM. Mark originally joined IBM as an engineer from Sony and since then has worked in product engineering, manufacturing, research and development, site engineering, quality assurance, contract delivery, and Sales before moving into his current Regional Sales Leader role. Peter has a master’s degree in Business Information Management and is certified in the Governance of Enterprise IT from ISACA (CGEIT) and the SIAM Foundational Body of Knowledge. He has authored and co-authored a number of technical books. He has 20 years of experience as an IT strategy consultant. Since 2008, Peter has been a Subject Matter Expert for IBM in Europe, focusing on outsourcing governance, partnerships and service integration. His work with IBM engagements includes ABN AMRO, ABB, BBVA, Belfius, ING, RABO, Michelin, Lufthansa and Sandvik. Derek Catlin is Cloud Brokerage Specialist for IBM Global Technology Services, helping transform the industry to the next generation of IT service consumption. He has over 30 years of experience in information technology, supporting customers and engagements across many industries. He has also worked as Principal Consultant and Enterprise Architect on the Transformation Services team at Wipro, and as a certified Cloud Advisor for IBM Cloud, responsible for growing sales and enhancing the recognition of IBM in delivering cloud-enabled IT and business solutions for enterprise clients. His areas of expertise include e-Business solutions design, ERP, I/T architecture and governance, Cloud, Smarter Commerce, Analytics, IT Strategy and a thorough understanding the application of best practices in helping clients solve business and technology problems. Scott Berentsen is a global offering manager and is responsible for launching and managing the IBM Cloud Brokerage Services portfolio. His areas of expertise span hybrid cloud transformation, cloud brokerage services, cloud computing, enterprise software and IT infrastructure services. Ulrich is responsible for IBM Network Services offering enablement in Europe, working with local market teams and the Global Network Services offering team. His teams translate market realities into segment strategy and offer design requirements. Ulrich is driving technology and partner strategy for Network Services in Europe while enabling internal capabilities to scale. Dominique is an IBM Distinguished Engineer. She builds IT solutions using leading-edge technologies as part of an innovative and agile collaboration with IBM clients. Her areas of focus are automation, analytics and cognitive solutions. Dr. Vugranam (VC) Sreedhar recently joined IBM Services from the IBM TJ Watson Research Center. He leads all aspects of blockchain solutions for Technical Support Services. His leadership expertise spans compilers, programming technology, security, compliance, service delivery and blockchain. He is an ACM (Association of Computing Machinery) Distinguished Scientist and also a member of IBM Academy of Technology. He holds a Ph.D. with Dean's Honor from McGill University. Arvind is a technical executive and strategist, focused on helping clients innovate and implement IT transformations. As an IBM Distinguished Engineer, he’s helped expand the IBM global Data Center Migration Method to incorporate assets and activities needed to support migration of workloads to the cloud. His broad IT services experience spans software development and infrastructure management. Bala has more than 22 years of experience in IT, spanning all phases of the software lifecycle. He works with clients to formulate their cloud adoption journey, execution approaches and DevOps strategies, with deep focus on modernization and migration to cloud, transformation to cloud-native architectures (including microservices and APIs) and application operations on cloud. As a Customer Solution Executive, Mariusz has extensive international experience working with a variety of customers on high-pressure, time-sensitive projects. His professional path started in the engineering field, progressing from project management and solution architecture to business development, where he applies his strong understanding of business alignment and technology utilization to meet customer needs and requirements. Arvind is a project manager with PMI certification and more than 18 years of experience delivering cloud migration and transition solutions to large enterprise customers. Felicity has spent her life immersed in technology and is passionate about helping companies build resilience right into the core of their strategy and architecture. In her 25+ years working with technology giants, she has advised companies, governments and standards bodies on emerging IT trends and helped ensure integrity and sustainability are incorporated in the heart of their IT. Caleb has been supporting Red Hat within IBM for 4+ years, working with clients across North America. As a Business Development Executive for the IBM and Red Hat relationship, he helps facilitate joint sales opportunities and is passionate about leveraging the value of Red Hat Open Source alternatives to help clients achieve their goals. Mike has held a variety of roles with IBM over the past 21 years. He began his career as a Lead Financial Analyst in the Strategic Outsourcing division and progressed to various sales and operations roles before moving to IBM Technology Support Services in 2012. Mike currently serves as Business Development Executive for community Open Source Software (OSS). In this role, he focuses on helping clients receive enterprise-level support for 100+ community versions of OSS and gain access to a broad community of industry experts where they can obtain virtually unlimited assistance for a wide variety of how-to and usage questions, plus get advice on which OSS packages can be optimized or are best-suited for a specific project. Mike also drives new business opportunities in all channels (F2F, digital sales and business partners) across the United States. Zach has been with IBM Technology Support Services for seven years. For the last three years, he has served as Business Development Executive for the SUSE and IBM relationship, where he focuses on helping clients meet their IT objectives using SUSE open source subscription and support solutions. Zach facilitates joint sales opportunities across the United States, ensuring that clients receive enterprise-level support for their entire open source ecosystem. Alexsas specializes in unified communications and contact centers. He leads multi-national, multi-discipline teams of subject matter experts as they orchestrate the development of complex, multiple year, custom solutions, all with the goal to ensure the consistent delivery of high-quality services that meet clients' business and technical requirements. As Global Vice President for IBM Resiliency Services, Allen specializes in working with clients to address the rapidly changing demands of today’s business environment and the need for comprehensive business resiliency solutions. Allen has been influential in the development of managed service solutions to protect clients' facilities, critical data and applications. He has vast global experience working with clients around the world and covering industries such as manufacturing, banking and finance, and distribution. Amit focuses on IBM Workplace Support Services with Watson, reinventing the traditional service desk with cognitive and artificial intelligence to enhance user experience and productivity. Previously, he was the head of delivery and engineering with British Telecom Plc. and brings rich experience in E2E delivery management and program and product management. Amit holds both an MBA specializing in digital business transformation and strategies and a Bachelor of Engineering degree. Anil has both business and technical expertise. He works with clients to build business strategies, organizational goals, technology and business alignment, risk assessments and risk mitigation strategies. As an experienced Solutions Architect and an IBM-Certified SOA Solutions Designer, he has architected, designed and implemented multiple enterprise-scale solutions that leverage shared services, cloud technologies and SOA. Arun works to create optimal hybrid cloud solutions using brokerage, orchestration, automation and cognitive technologies. He is a strategic leader, skilled in creating breakthrough, data-driven innovations for key challenges across multiple domains and industries. His expertise ranges from creating new organizations and building teams to directing highly skilled researchers and software engineers through agile innovation. As an IBM Distinguished Engineer and Resiliency CTO, BJ is responsible for developing and deploying storage automation to clients worldwide. He defines standards and reference architectures for storage management ITIL processes and tools, including asset, availability, capacity and performance management, and integrates them into change and incident management processes. He helps enhance the tools used by storage administrators and automates common processes and operations to improve efficiencies and the quality of those services. In critical customer situations where broad storage experience is required, BJ is often called in to identify and resolve issues. Chandru is responsible for developing the IBM IP convergence business. He works with clients to understand business needs and priorities, and accordingly designs the technology to deploy a contact center. He also discusses network transformation that caters to an IoT landscape and is suited to the client’s business. Chetan Sharan is the Global Offering Manager in Network Services for IBM MultiNetwork WAN Services (MWS) offering, a key as-a-service SD-WAN offering. He has 20 years of experience performing roles in pre-sales, solution engineering, design and managed services. As the current offering manager for IBM Resiliency Orchestration, Cyrus calls on his highly technical knowledge to tackle problems proactively and follow them through to their resolution. He has worked in the IBM Research and Development Lab in Boeblingen, as software architect for IBM Tivoli Storage Manager and IBM Content Manager, and in sales and technical enablement to support the IBM Tivoli Storage Manager for Applications and Databases product portfolio. He is a certified IBM Design Thinking Practitioner and speaks English, French and German. Darren is passionate about using digital solutions to solve client problems. He has over 20 years of IT experience working with clients to evolve their digital business models with cloud, AI and mobile solutions. His expertise spans strategy, competitive analysis, virtualization and strong technical knowledge. For over 15 years, Gene has been building innovative enterprise solutions to support end-to-end device lifecycle management for end-user devices, from procurement, enrollment, security, configuration, app management and device health, all the way to retirement, disposal and recycling of devices. Harieram is a Global Offering Manager and Architect with IBM Digital Workplace Services. He has spent his entire career focusing on the end-user computing industry and has extensive experience launching end-user modern workplace offerings and developing solutions to meet market needs. James is responsible for the offering management, architecture, development, deployment and delivery of the IBM Cloud platform, which delivers IaaS and PaaS capabilities in both self-service, API-driven models and in fully managed, ITIL-compliant managed services. He received his Ph.D. from the Massachusetts Institute of Technology and joined IBM Research in 1988. Since then, he has worked on new product introduction in a variety of development and product management roles. He was part of the Enterprise Initiatives team that defined IBM's cloud computing strategy and has been instrumental in shaping IBM's overall cloud capabilities, as well as in driving a series of acquisitions to accelerate the transformation of IBM's cloud service delivery model. 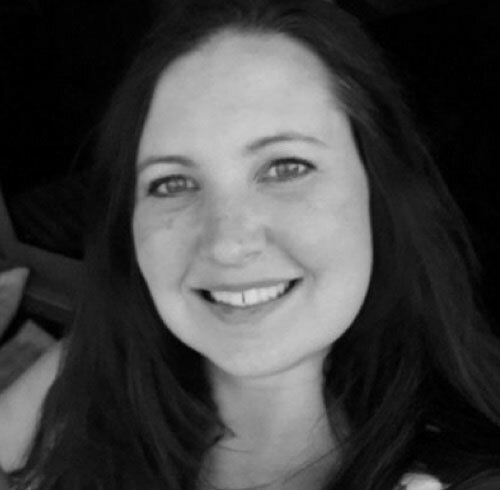 Jennifer is responsible for IBM support offerings in the retail industry and works with OEMs to determine how to develop IBM support offerings for their products. As a multi-vendor business line executive, she specializes in developing solutions that address clients' business needs (both industry and business) and deliver client value while supporting brand-specific business strategies. Juli is the Global Executive and Director for IBM Support as a Service, leading IBM’s go-to-market strategy, offering portfolio and P&L, and working with some of IBM's largest global clients. She is a dynamic, results-driven leader with extensive experience that spans services consulting, business transformation, new product development, global supply chain, engineering and operations management. She has a Bachelor’s degree in Industrial Engineering and is a Certified Project Management Professional and a Certified Lean Six Sigma Black Belt. Since joining IBM, Kevin has held various global operational, financial, support and management positions, including spending two years on an international assignment in Dublin, Ireland where he helped establish and manage a European and U.S. technical support center. He created and currently leads the information and analytics strategy, and works directly with IBM Research to drive key analytics initiatives, including creating the business architecture for the IBM Watson technology that is used in IBM technical support centers around the world to assist agents in delivering world-class customer support. Mike thrives in situations that require strong leadership, flawless execution and a need to transform chaos into positive function and profitability. He excels in developing strategy and executing a disciplined and team-oriented program of change management, resulting in revenue growth, reduced operating costs and accelerated profitability. Mike is also the author of The Millennial's Guide to Business Travel: Lessons for the Next Generation of Road Warriors. Rahul develops key offerings for IBM Internet of Things (IoT) services and platforms, enterprise mobility, digital workplace and blockchain, leveraging cognitive capabilities, analytics, automation and cloud services. In his current role, he is responsible for developing the IoT Device Lifecycle Services suite of offerings. He is passionate about delivering technology solutions that solve customer problems and developing and defining solution elements, functionality and ecosystem requirements based on customer needs and priorities. 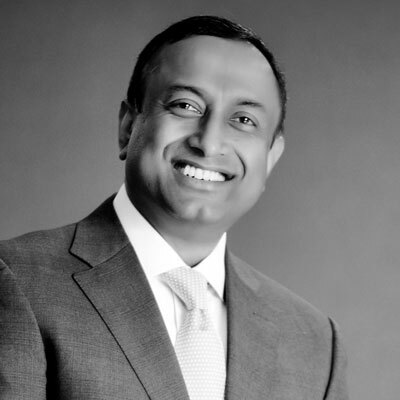 Ranjit’s strengths include SaaS and cloud computing, entrepreneurial thinking and product management. He is a passionate product manager for a new cloud cost and asset management (IT governance and financial analytics) offering and leads a team of managers and analysts to define product needs and guide engineering and design teams to align solutions with client priorities. Rick focuses on the telecommunications industry as well as the media/entertainment and utilities industry. His telecommunications industry expertise spans wireline and wireless strategies as well as application managed service implementation. Sandeep is a solution leader for IBM Resiliency Services, where he works with clients to design solutions that address the client's industry and business needs and deliver client value. He excels in identifying and prioritizing opportunities, focusing on innovation and business demand, and then working with clients to develop solution strategies. Shailabh is a hands-on technical expert who oversees a wide range of initiatives that require outstanding and sustained technical achievement, innovation and leadership. With a Ph.D. in computer science from Penn State University, he helps clients implement complex solutions and consults with management on technical and business implementation strategies. Bill has designed data center infrastructure, network transformation, enterprise network design, Internet routing and web hosting architecture network solutions. As the lead network architect on many successful IBM offerings, he received a patent in one of IBM’s first network cloud designs. He has created solution concepts and designs, led the deployments and been a critical situation lead and a go-to resource for many complex network issues. Bill is currently the network architect for the always-on hybrid cloud infrastructure that hosts the Masters, Wimbledon, ibm.com and various other high-profile environments. Dennis Perpetua is a Distinguished Engineer in IBM Services. He focuses on creating superior and seamless user experiences for clients, and advancing cognitive automation and best in class solutions within mobility and device management. Creating new future thinking, innovative and strategic ways for IT services to enhance and develop new business outcomes is a main driver for Dennis. Vishal Joshi is the Global Offering Manager for IBM Workplace Support Services with Watson. Prior to IBM he was with VMware, responsible for setting up and managing the pricing strategy driving partner license and subscription business. He holds a B.S. degree in Computer Science from Rowan University, New Jersey, and an M.S. Degree in Electrical Engineering from the University of New Haven, Connecticut. 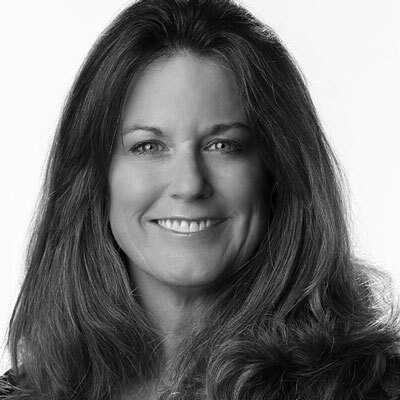 Debra Aliberti Is an Executive Technical Architect, working with large customers across the globe to transform their end user environment into a personalized modern digital workplace. Specializing in enterprise mobility technology, she is a mobility workplace expert, with experience in enterprise integrations of collaboration, managed mobility solutions, Microsoft, Deskside, Windows 10, and BYOD strategies. Debra consults with customers to identify their digital roadmap and works with sellers worldwide to craft winning request for proposal (RFP) responses. Desde aquí te invito a conectar conmigo y colaborar en los proyectos de transformación digital que lleven a tu empresa u organización a conseguir nuevos objetivos o en aquellos proyectos de optimización de servicios en los que la experiencia y la solidez de IBM te pueden ayudar sin duda. Daniel Witteveen is Vice President, IBM Resiliency Services. He leads the Global Strategy and Portfolio team and is passionate about addressing clients' business resiliency needs across the physical and virtual layers of the enterprise, including data, applications, IT infrastructure, facilities, organization skills and business processes, aligned to the organization's strategy and vision. IBM Resiliency Services is recognized as the leading provider of business continuity and disaster recovery services around the world, enabling clients to maintain 'always on' availability. Valerio leads IBM Technology Support Services' retail business to outpace the industry in growth, guiding clients through technological shifts, delivering the satisfaction of a frictionless payment process and helping them achieve their customer experience objectives. He leverages the benefit of extensive experience around the areas of retail industry sales and developing lasting customer relationships. Unfortunately it's not possible to find any expert with the filter informed.